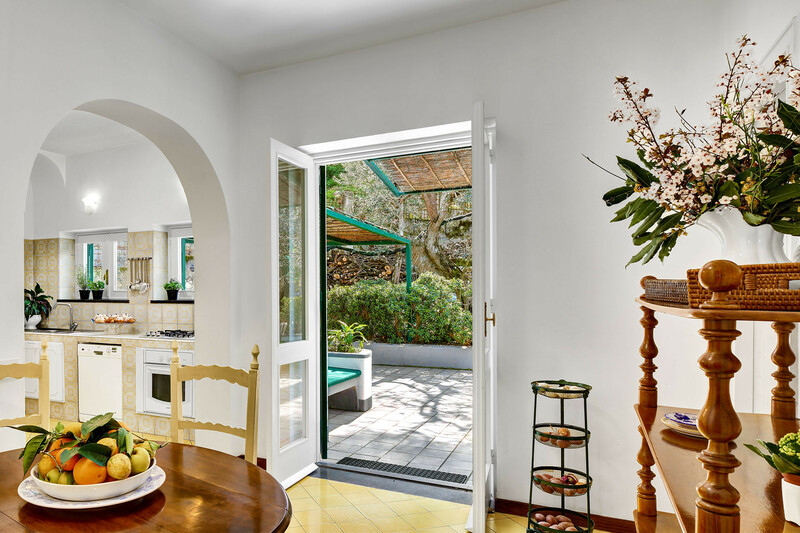 Villa Il Gioiello is a large villa, set within extensive gardens, in an exceptional location just 400m from the centre of Sorrento. 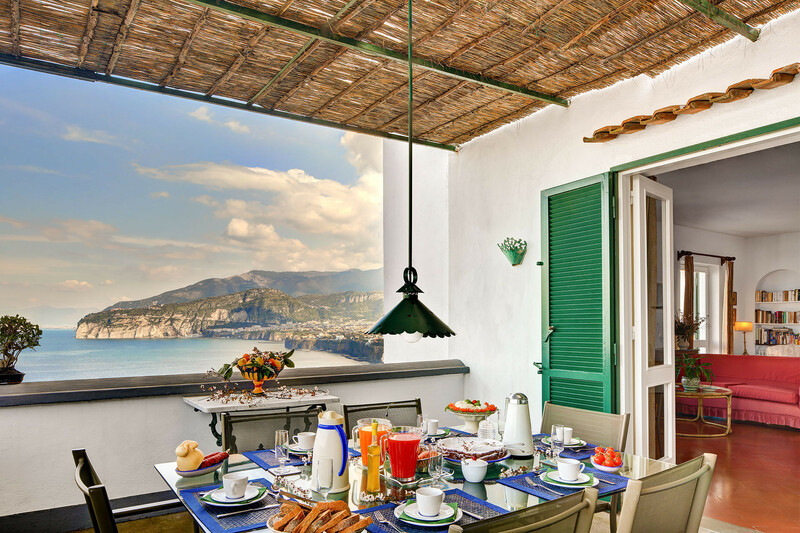 The views from the balcony and terraces are simply magnificent, sweeping across the Gulf of Naples to Vesuvius. The villa is set high above Marina Grande, a great place to relax on the beach or swim. Within this old harbour, ancient fisherman’s houses still stand. Here you will find popular restaurants where, in the evenings, you can hear the famous Neapolitan songs of the past. Alternatively, a short stroll takes you right into the heart of Sorrento, with boutiques to explore and fantastic restaurants and lively bars to enjoy. 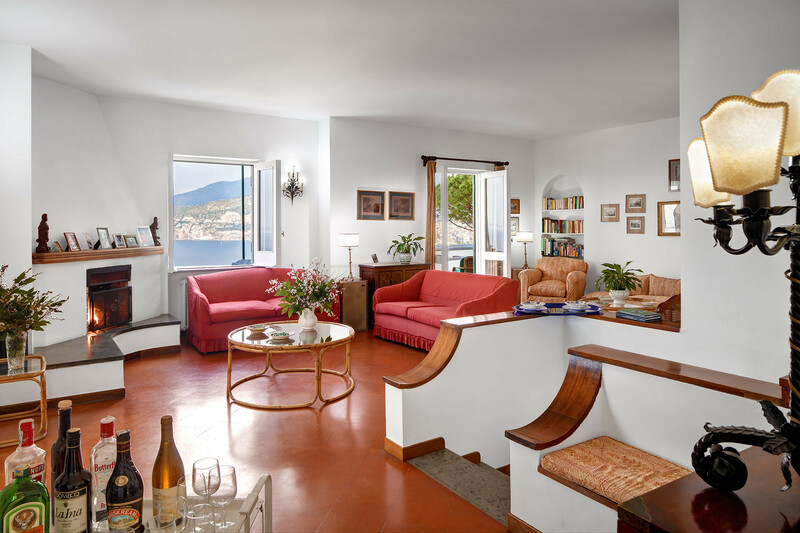 You’re also in a great location for trips to the islands of Capri, Ischia and Procida. Or why not explore the spectacular Amalfi Coast, or visit Pompeii? 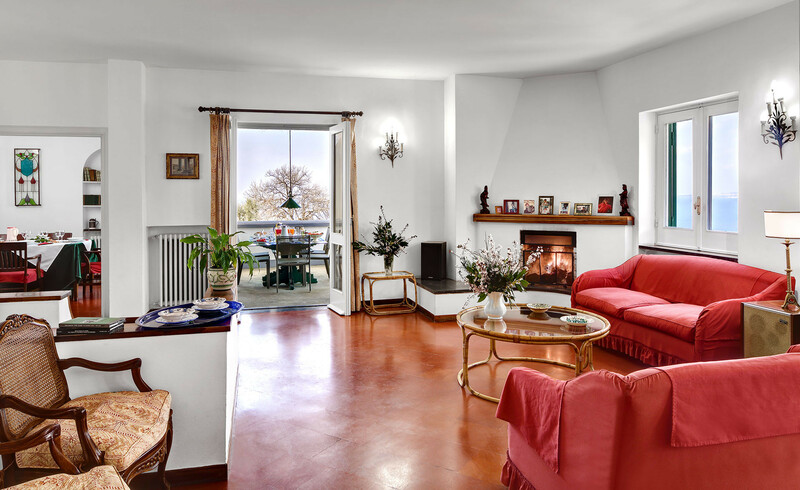 Set on three levels, Villa Il Gioiello offers more than enough space for a party of 15 to spread out and relax in privacy. 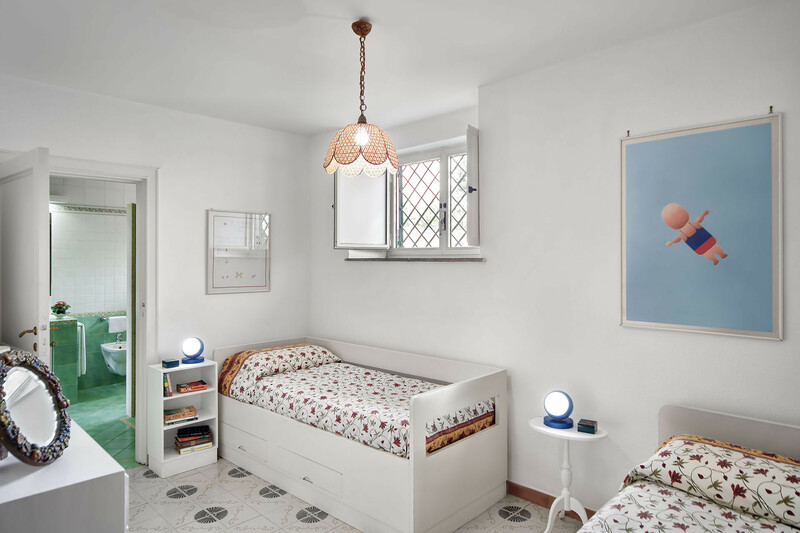 The décor is tasteful and simple, with clean, cool white walls and tiled flooring. The furnishings are comfortable and well chosen with some attractive antique pieces and thoughtful homely touches. In total, there are two large living rooms, one dining room, two kitchens, seven bedrooms, six bathrooms, plus an additional W/C and laundry room. There are also large terraces offering plenty of outdoor space. On the ground floor you will find the first living room, where there is also a small dining table, and access to the gardens outside. There are comfortable sofas, plus a satellite television. The smaller of the two kitchens is also on the ground floor, well-equipped with an oven, hob, dishwasher, microwave and other small appliances. There are three bedrooms on the ground floor, two of which are double bedrooms and the third with twin single beds. All bedrooms have an en suite bathroom. 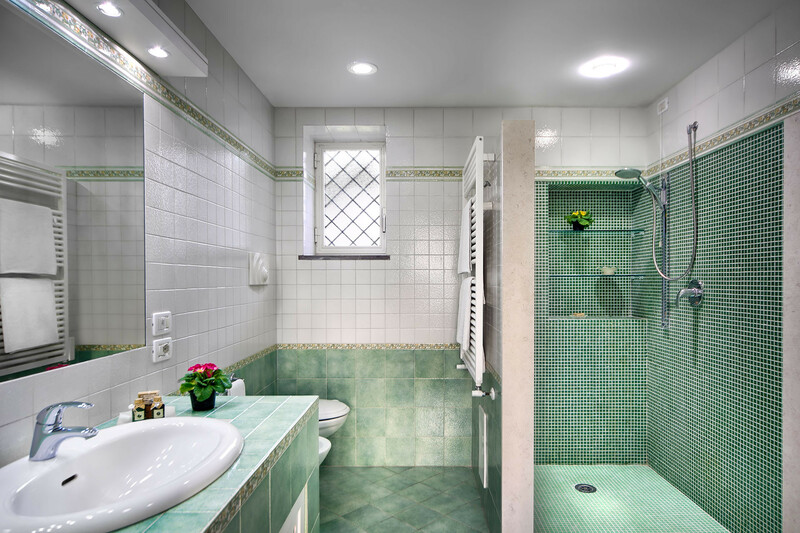 One of the double bedrooms has a bathtub, and the second a shower. Moving up to the first floor, you will find the remainder of the bedrooms and bathrooms. There are three double bedrooms, plus a further twin bedroom, which can accommodate three with an additional single bed if required. 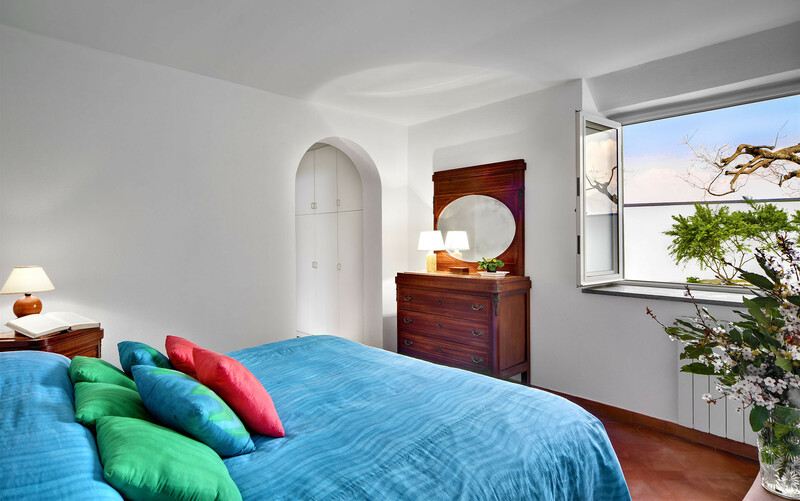 The first double bedroom has an en suite bathroom with a bathtub, plus access to the large panoramic terrace giving wonderful views of the sea. There are two further double bedrooms, one of which has access to the garden. Also on this floor are two family bathrooms, one with a shower and the second with a bathtub. The convenient laundry room offers a washing machine, iron and ironing board. The primary living spaces are on the top floor of the villa, to make best use of the dramatic views across the bay. 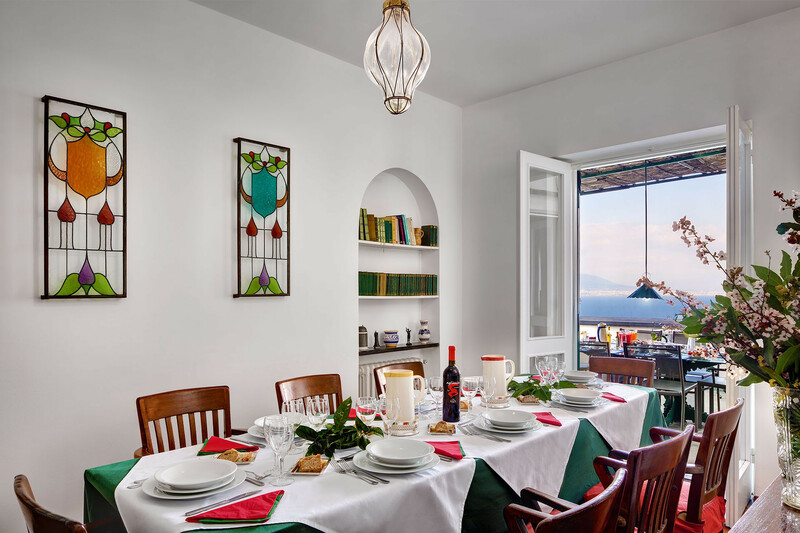 There is a wonderful terrace, accessed from the living room, dining room and kitchen, with simply unbeatable views of the sea and Vesuvius. With all the doors wide open to allow the sea breezes to gently refresh the air, you have a sense of being part of the landscape in which the villa stands. The largest living room is on this floor, with a television and hifi, and plenty of comfortable seating. There is a fireplace where you can light a roaring fire on a chillier evening. The kitchen offers all of the facilities you will need, should you choose to self-cater, with an oven, hob, freezer, dishwasher, microwave and dumb waiter. There is also a dining room with a large table, and further dining tables just outside on the terrace. Also on the second floor is an additional small W/C. 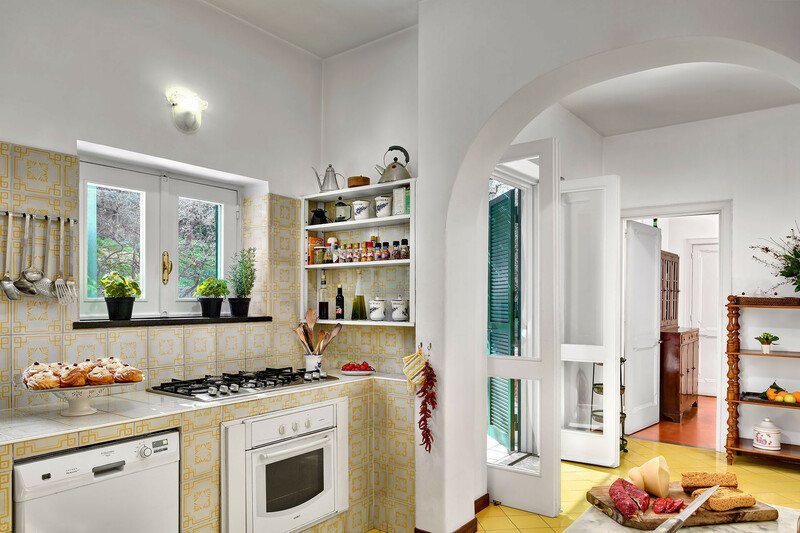 From the kitchen there is access to the garden, with a traditional wood-fired pizza oven and barbeque. You are welcome to cater for your own party during your stay, or we can provide a chef if required. Or why not book a pizziaolo and experience the traditional art of pizza making? Watch how pizzas are made by a true professional, before they are cooked in your pizza oven, ready to savour within minutes! Villa Il Gioiello is surrounded by gardens measuring 1000m2, terraced on several levels to make the most of the natural landscape and views. There are plenty of peaceful spots in which to relax with a book, or chat with friends. Al fresco dining is well catered for, with dining tables and chairs ready for you on the terraced areas, near to the barbeque and wood-fired oven. 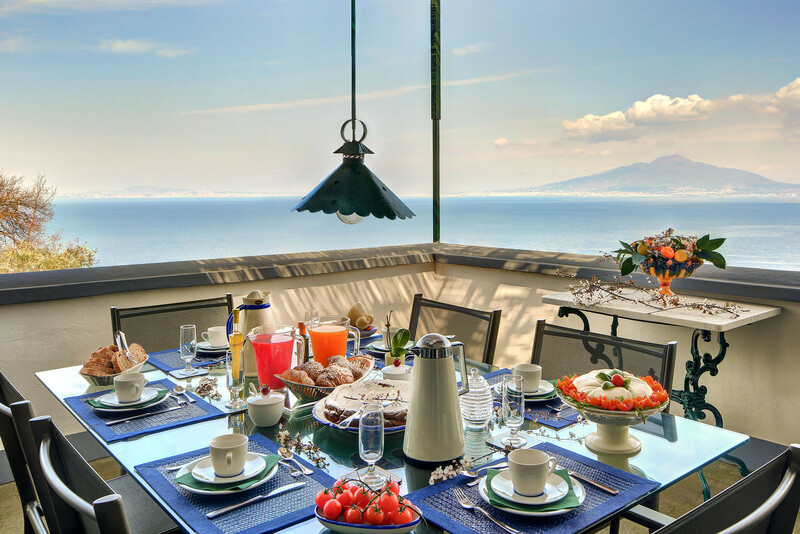 Relax and enjoy the marvellous panorama of the Gulf of Naples. 15 hours of cleaning / domestic services is included within the price shown, a total of 3 hours on 5 week days. Central heating, if used, is chargeable at 5,00 Euro per m3. Firewood is available on request, at 30 Euro per 100kg. Within the perimeter fence there is a large area allocated for parking up to 9 cars. Please note that the access to the villa is along a very narrow road, so if you are driving a large vehicle you may need to use the public roadside parking just 350m away. 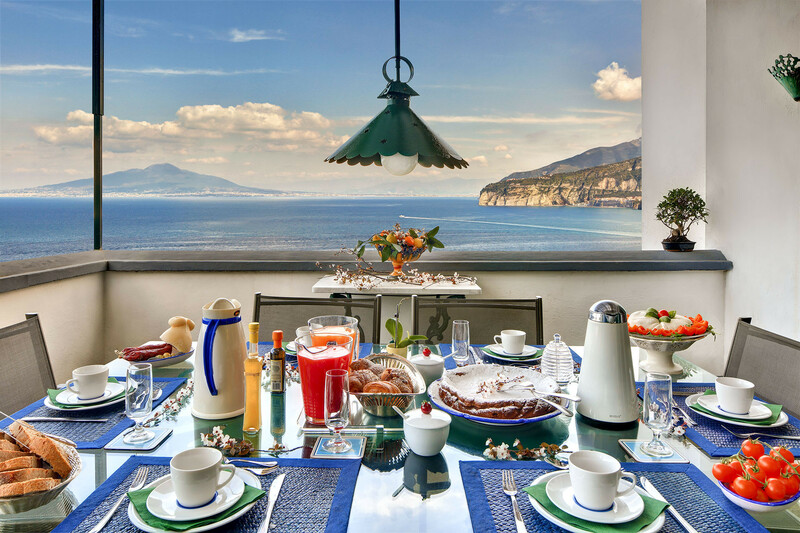 In summary, Villa Il Gioiello is an ideal spot for a large party looking to experience all that the Sorrento Peninsula has to offer. 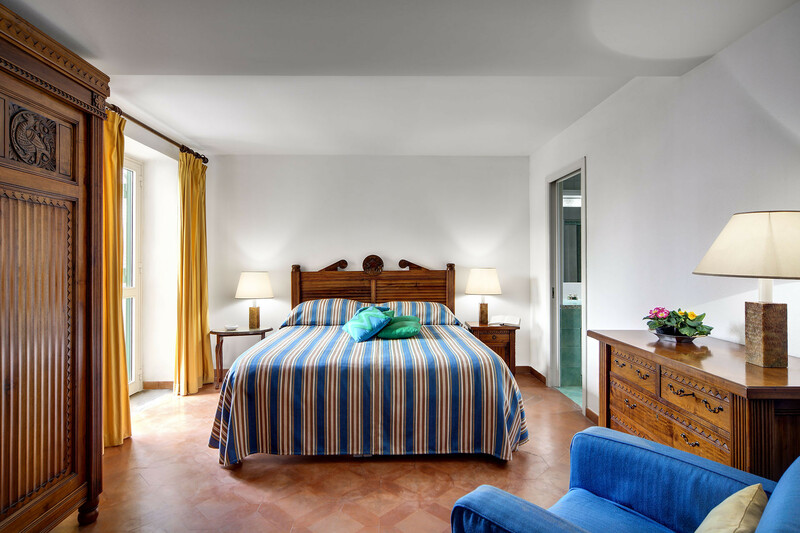 The accommodation is exceptional for a villa this close to the centre of Sorrento. 5 Double beds, 5 Single beds. 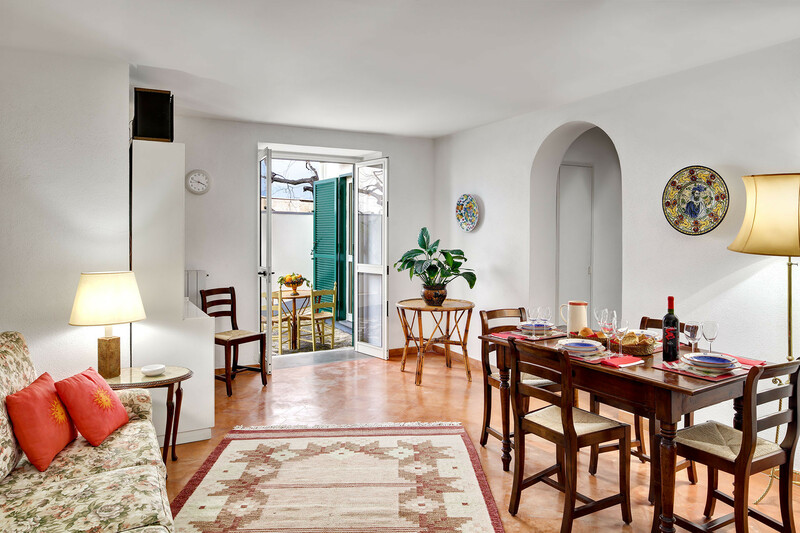 TV, TV Satellite, garden, terrace, iron, internet (Wi-Fi), hair dryer, balcony, 350 m² property, central heating, Open-air parking (5 places) in the same building. 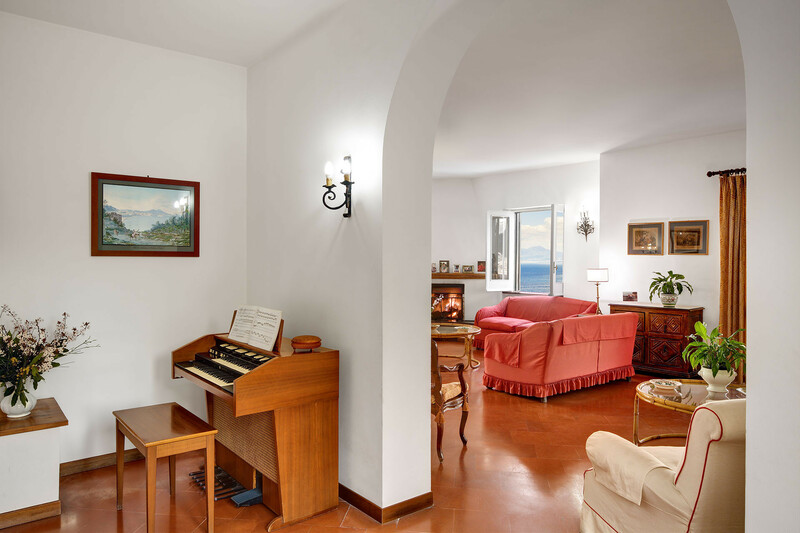 Great property with incredible views of Mount Vesuvius and the Italian coast line. Location is great though the property is a little hard to reach since it is on the hill side and has a narrow road. Most cabs were unwilling to take us all the way to the property. If you have people in your group who are elderly this is not an ideal property since they have to walk up an incline. Communication with the hosts was very good. The lady Giuseppina who was managing the property was incredibly sweet and helpful. She made us a lemon cake on the day we arrived which was delicious along with some limoncello. Would definitely recommend staying here if you are a large group with no elderly folk (Shalin, Union City, CA - reviewed on airbnb).